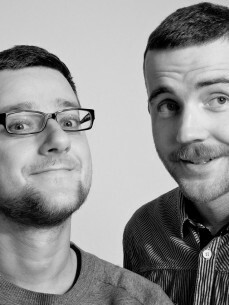 Catz 'n Dogz are back with their second full length artist album on mothership. The follow-up to 2008‘s “Stars of Zoo” is a clear break from convention and a further exploration of genres by this amazing Polish duo. Hence the new album’s title, “Escape from Zoo” the guys break free from the cage and run wild in a wilderness full of street bass, disco, R&B, deep house, hip-hop and more. The new album took an entire year to create and will be out in September, 2010 with vinyl singles dropping throughout the summer. It is a fantastic adventure through a jungle of genres including collaborations with heavy hitters dOP, Claude VonStroke and Jazzanova’s vocalist Paul Randolph. The guys have taken extra care to make it a special project with exclusive vinyl versions and bonus tracks. They have also been busy creating a brand new live show for the upcoming album tour. If you don’t know them by now, their full Polish names are Grzegorz and Wojciech but you can call them Greg and Voitek. As DJs you are likely to find them playing disco/deephouse at the small parties they organize frequently in Berlin and Szczecin as well as tech-house and techno at festivals and big clubs all over the world. Back in 2003 they started it all off by organizing a club night in their home town of Szczecin, Poland. This night soon became a residency and their reputation grew quickly. A radio show soon followed on Szczecin’s ABC Radio allowing them to explore their creativity and gain a legion of fans. Soon after that, they began to produce records together as the techno centric “3 Channels,” eventually evolving into Catz n Dogz - a grooving, category-free mixture of modern music. Since their first record on Trenton in 2005 the guys have appeared on the brightest underground labels such as Trapez, Crosstown Rebels, Pokerflat, Boxer, Dirtybird, Leena and their own Channels Records. Currently they collaborate both with Mothership and Get Physical and have launched a new label PETS which aim is to promote Polish artists. They also started their own party “Pets Gone Wild” at the best club in Poland called SQ and are hoping to help break down doors for up and coming Polish producers who may have been overlooked in the past.